West Sumatera DPRD members are conducting a working visit (kunker) towards City DPRD today.
" Our visit is to know about the delivery of this report"
They visit intending to comparative study in relation to the government accountability report (LKPJ) in the capital. West Sumatera DPRD Vice Chairman, Arkadius Datuak Intan Bano stated his party wants to know what can be recommendation of council members in delivery of the government LKPJ in its area. "Our visit is to know about the delivery of this report whether it should be in detail or need a special attachment," he expressed, Tuesday (4/24). 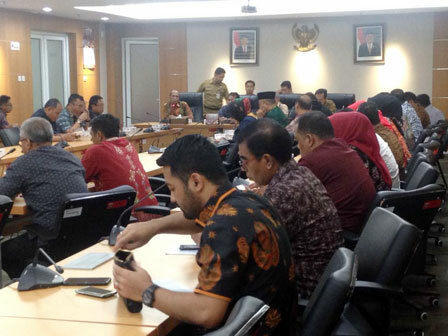 Responding on the matter, City DPRD Vice Chairman, Ferrial Sofyan conveyed, before entering the government LKPJ delivery, there should be good cooperation between the executive and legislative. So the recommendations could be issued on target.